Rob Nixon, a former airport ground-crew worker from Perth turns his passion for cooking into a career and an audience of 100 million worldwide. Arlene Zelina, a 22-year-old singer-songwriter from Melbourne scores a record contract with a global pop superstar. Natalie Tran, a Sydney media and arts graduate, amasses an audience bigger than the Royal Wedding. These are today’s media superstars. They’re using the sight, sound and motion of video to reach the 800 million people around the globe who tune into YouTube every month. They’ve become experts in building communities, inviting their audience in to participate in the creation of their content and brand. The last few days successful Aussie YouTube partners came to Sydney to share their experience and knowledge with advertisers, media companies, other content creators and their fans at our series of YouTube Next events. 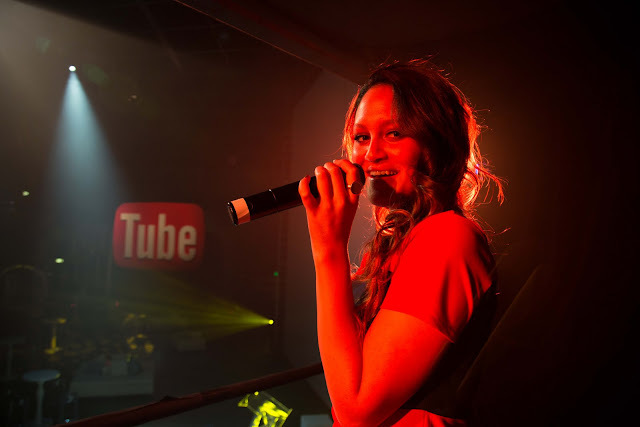 At these events we’re also celebrating the seven-year evolution of YouTube and looking at the possibilities for our video platform in Australia. Today, two thirds of online Australians are on YouTube every month and one in five say they now visit YouTube every day. And no surprise for smartphone loving Aussies, one in three Australian YouTube views happens on a mobile device, and this number is growing fast. We love watching Mighty Car Mods DIY car modification videos on our tablets in bed. Click here or on the image below to check out some highlights from our YouTube NEXT kick-off event at Luna Park on Wednesday night. We’re overwhelmed by the unlimited creativity and curiosity of the growing YouTube community and thanks to our collaboration with AFTRS we’re excited to offer a free, one-day workshop for young creatives like MGPactionsports at our Sydney office to learn how to become the next YouTube star. We’re excited to see how Rob, Natalie, Arlene and the tens of thousands of other Australian YouTube partners will take it to the next level. Cross-posted from the Google Australia blog. Simply want to opinion that you have a very nice website , I enjoy the structure it really is unique.